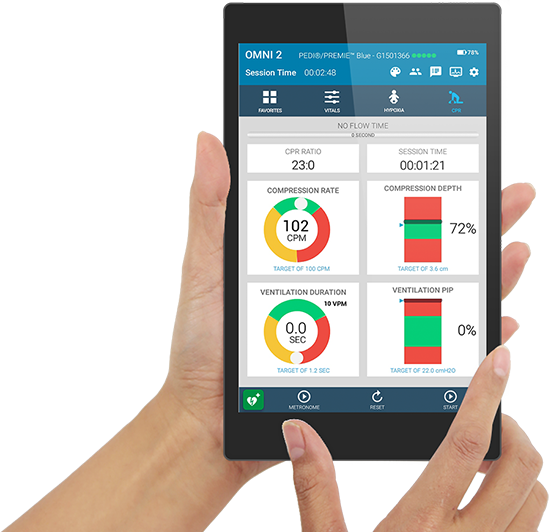 OMNI 2 makes it easier than ever to drive scenarios, monitor performance, and capture participants' actions for data-rich debriefing sessions. 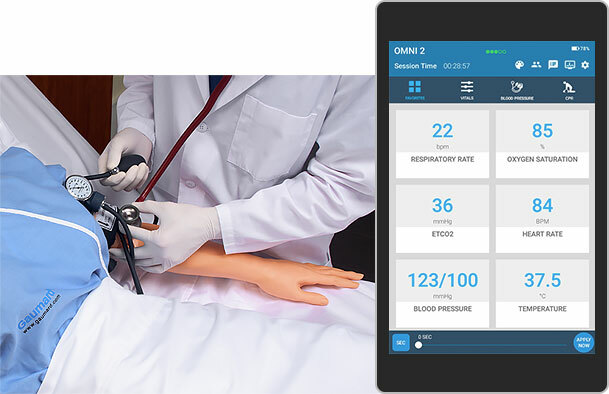 OMNI 2 is simple to operate with touchscreen controls and an intuitive layout that lets you manage physiological changes while remaining focused on the training. Put simply, it's a frustration-free solution that works to complement your clinical know-how. 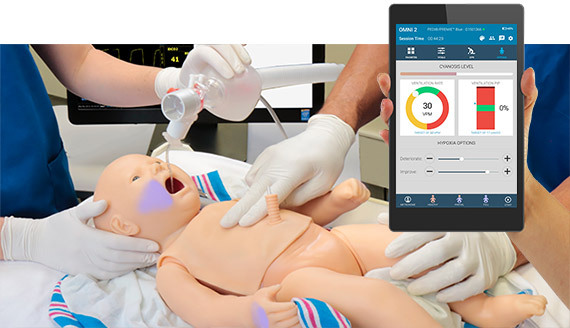 OMNI 2 offers you specialized tools to help you meet training objectives across multiple clinical areas. 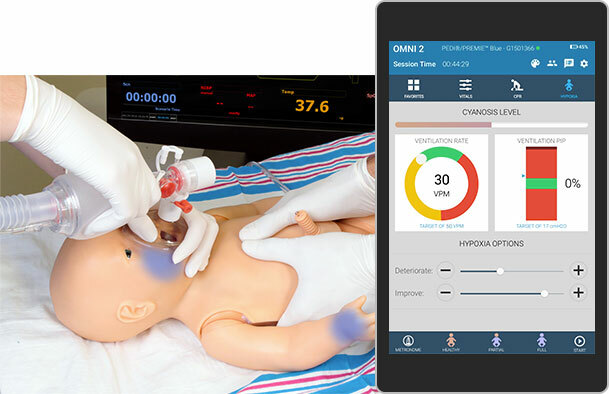 Whether you are refining clinical skills, or driving scenario-based training exercises, OMNI 2 gives you the control and feedback you need to train efficiently and effectively. 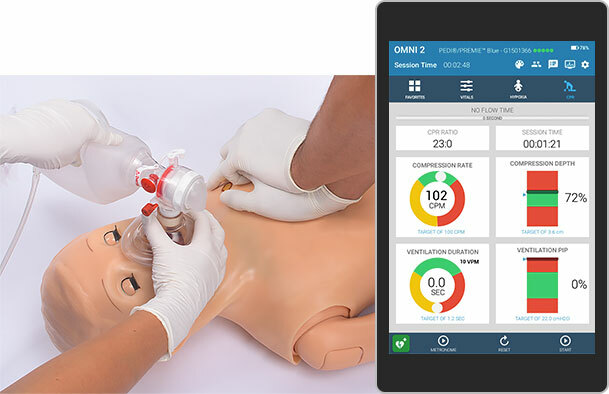 What's more, OMNI 2's intelligent setup features make configuration a breeze by automatically detecting your Gaumard simulator and showing you only the tools you need. Say hello to versatility. Ready for Training. Just Tap and Go. 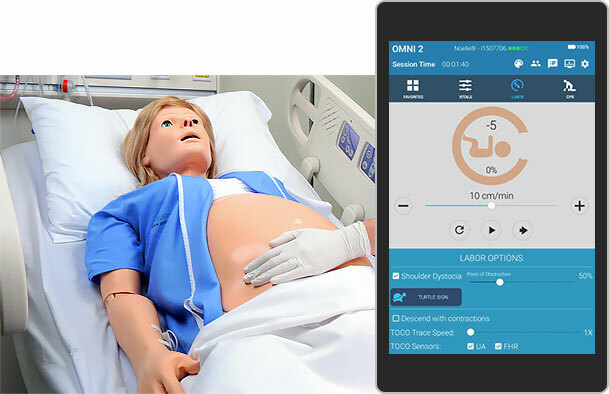 OMNI 2 is compatible with a growing selection of over 40 Gaumard patient simulators and skills trainers. Working with multiple models? Startup is fast and easy. 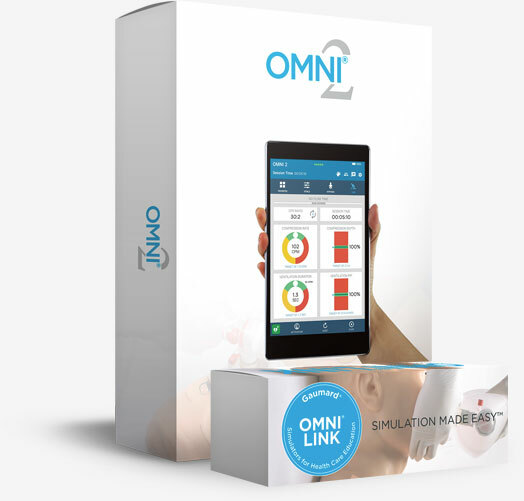 Once paired, OMNI 2 automatically detects your simulator's features to show you just the tools you need. Say hello to versatility. 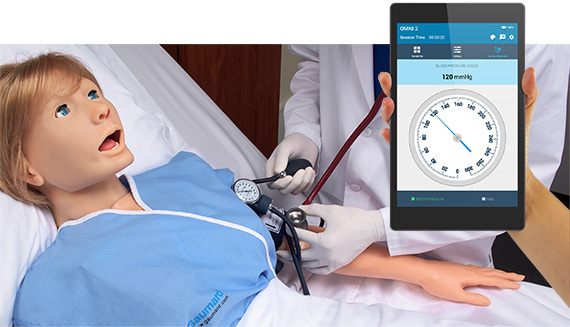 Upgrade your OMNI 1 capable patient simulator or skills trainer to the new OMNI 2 system and benefit from a host of new features including wireless connectivity, touchscreen interface, and virtual patient monitor support.